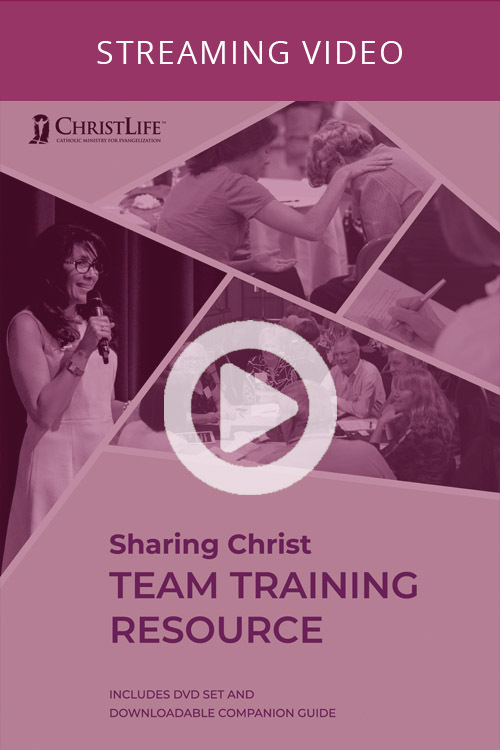 Prepare your team to run the Sharing Christ course! Sharing Christ gives Catholic disciples the practical tools and skills needed to evangelize in everyday life. This On-Demand resource will empower your team as they lead your participants towards a life of missionary discipleship. Disclaimer: Purchasing Sharing Christ On-Demand does not give access to the streaming videos to an entire parish or small group to login and watch the talks on their own. Sharing Christ On-Demand can certainly be shown at a parish course or small group, but sharing one's login with others in order for them to be able to watch Sharing Christ On-Demand on their own is not a legitimate use of the product.